Q: What should I do in the midst of a turmoil? When we are in turmoil it can be hard to know what is best to do. Our emotions are screaming, “Do this, do that, do something, do anything!” It is tempting then to do something just to try to reduce the uncomfortable feelings inside. This is not always the best way. When we are in a state of upset that is rarely the time to make important decisions, rarely the time to take definitive action. ACT reminds us that feelings come and go. They are fleeting, they are temporary, whilst the aftermath of things we do and say because of them can have permanent consequences. 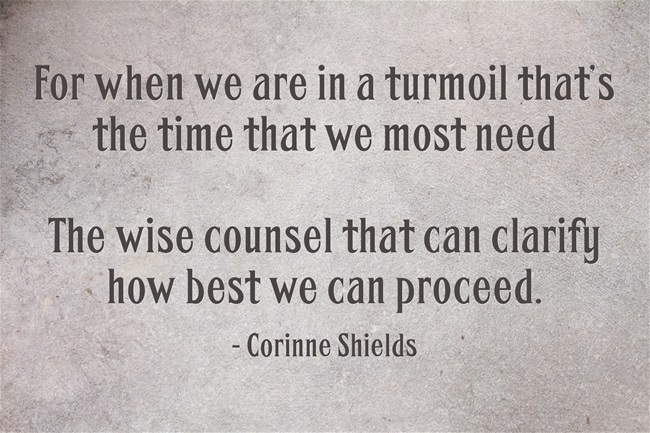 Seeking wise counsel at such times can save us from a lot of heartache. That doesn’t mean we have to take any advice given. We are always free to accept or reject what others say. We, after all, are in the best position to know what is really best for us in our own lives, especially if we are in touch with our values and are learning to act in line with them. 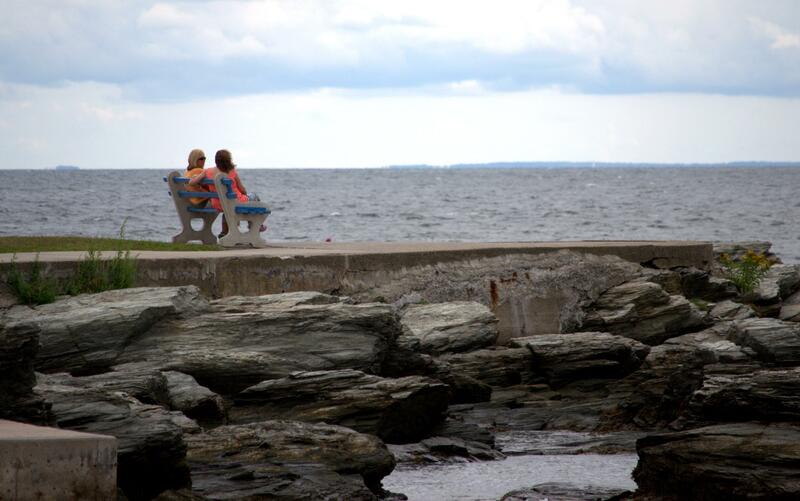 If we are fortunate we will have a trusted friend or two who love us enough to give us wise counsel. They have our best interests at heart and we should give thanks for them. And we always have ACT. When we are in turmoil if we act in accordance to ACT principles we will rarely go wrong and will usually go right. I wrote “WISE COUNSEL” to remind me of that. Do you remember to seek wise counsel when things get difficult? 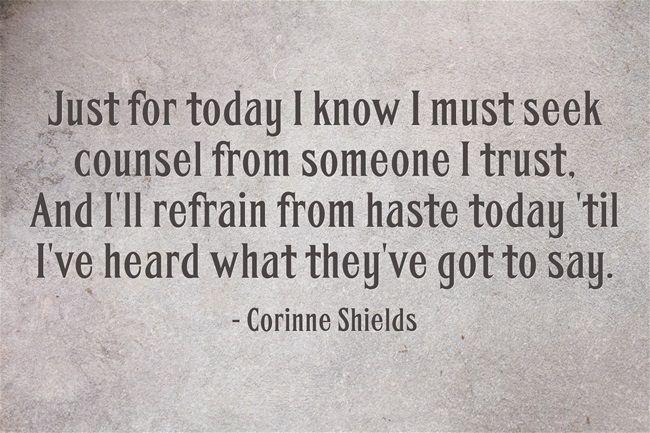 What wise counsel have you found in ACT to be particularly useful? When we are prepared to listen, for who knows then what we’ll hear. And that least said soonest mended is right now more opportune. It’s no wonder that they floored us when quite suddenly they burst. 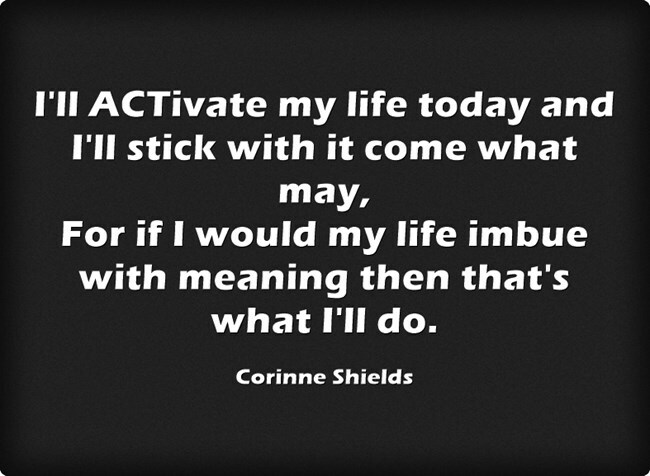 Is it better to take action, or allow it to subside? Well it’s now that that wise counsel can help us to best decide. The wise counsel that can clarify how best we can proceed. If you enjoyed “WISE COUNSEL” please pass it on, and do leave your comments. I would love to hear from you. When we are in turmoil it is usually because we feel that life is not dealing us the hand we want to play. The gap between what we want and what we have got is wide, wider than at the time we are willing to accept. 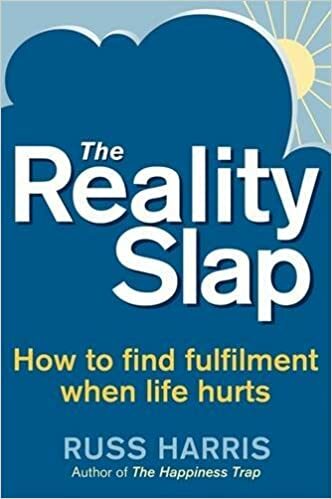 At times like these I return, when finally I remember, to that great book written by Russ Harris, “The Reality Slap”. If you haven’t read it I commend it to you. If you have, then here’s a reminder that when life deals you a bad-hand a re-read will always be helpful.